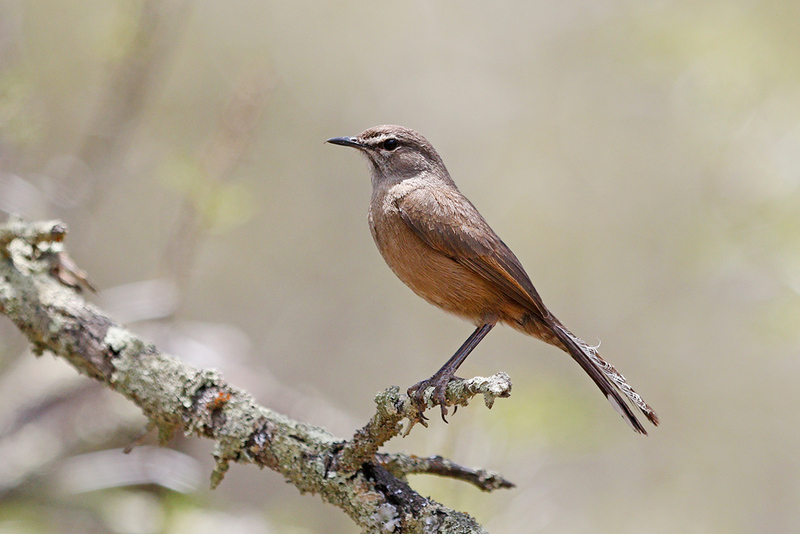 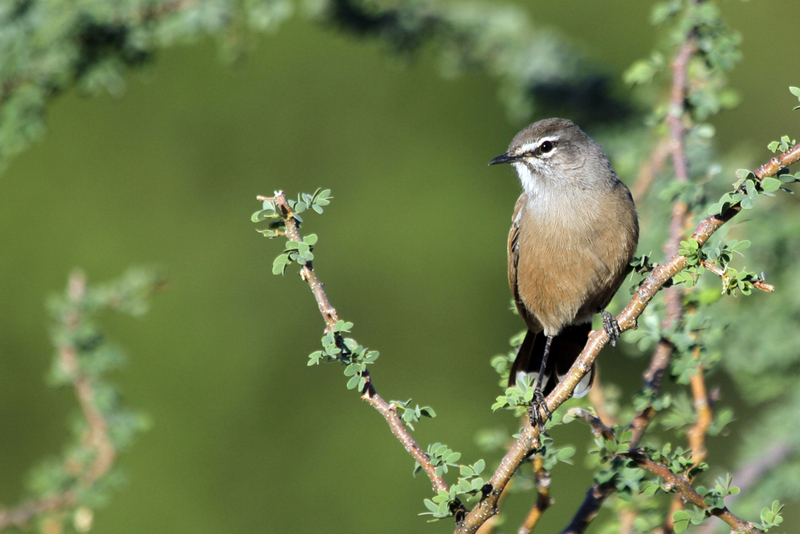 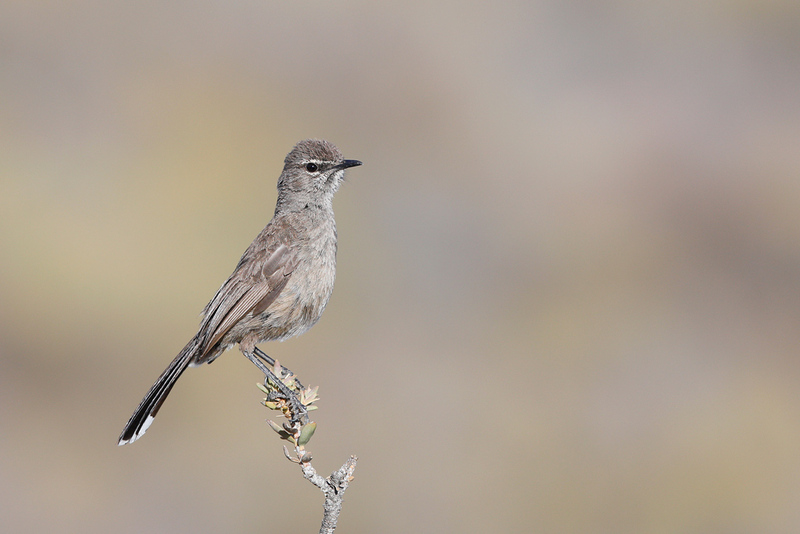 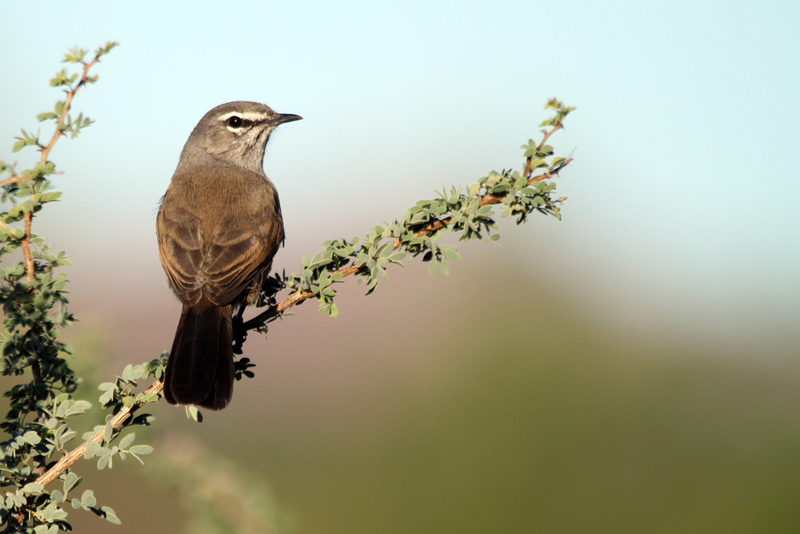 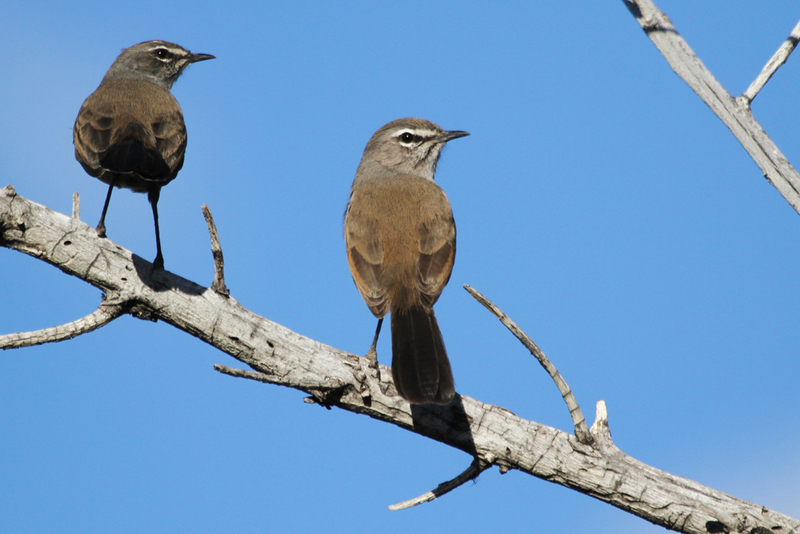 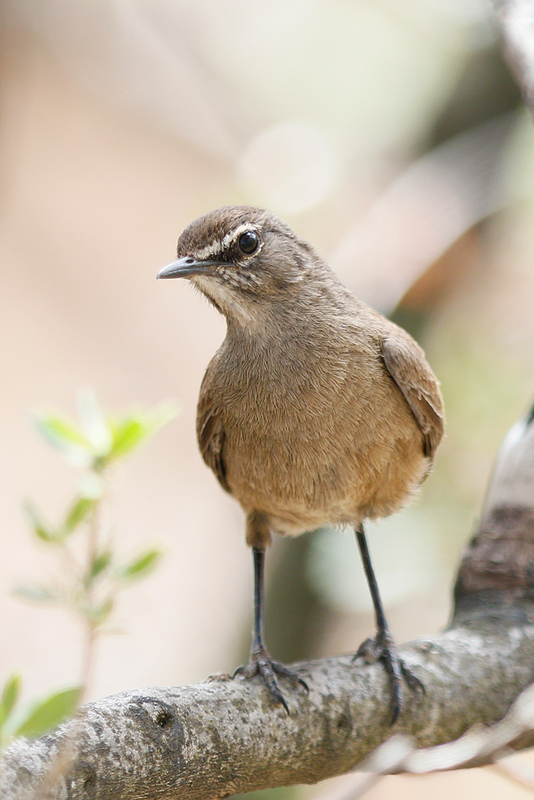 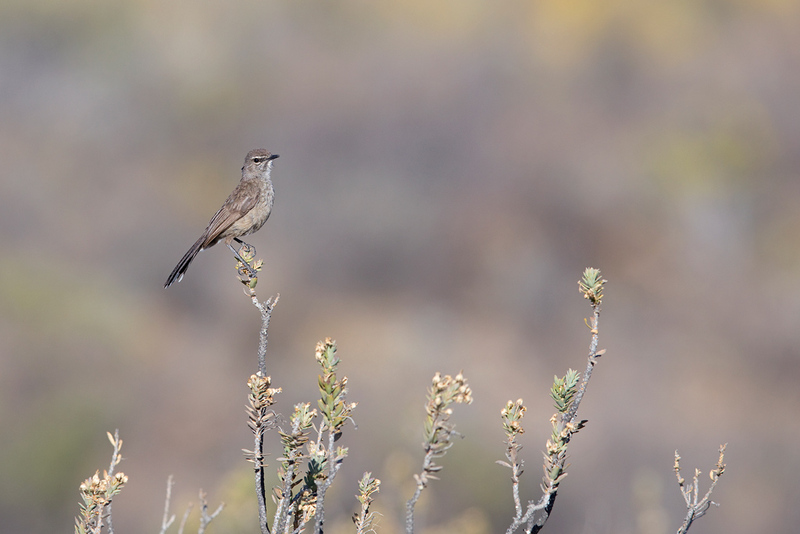 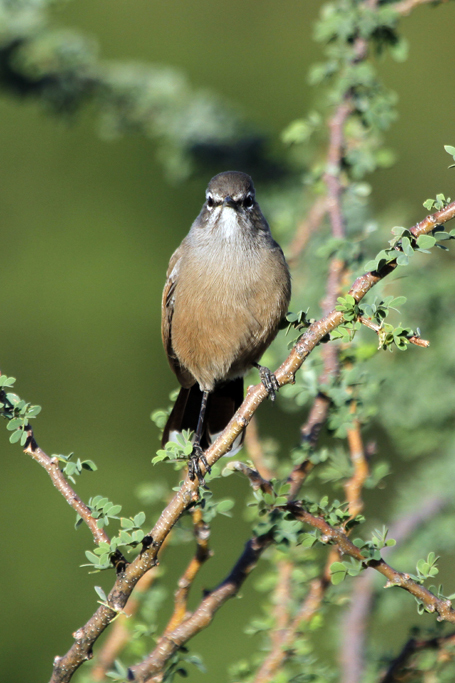 This is one of five scrub-robin species in southern Africa and is restricted to the southern and western reaches of South Africa. 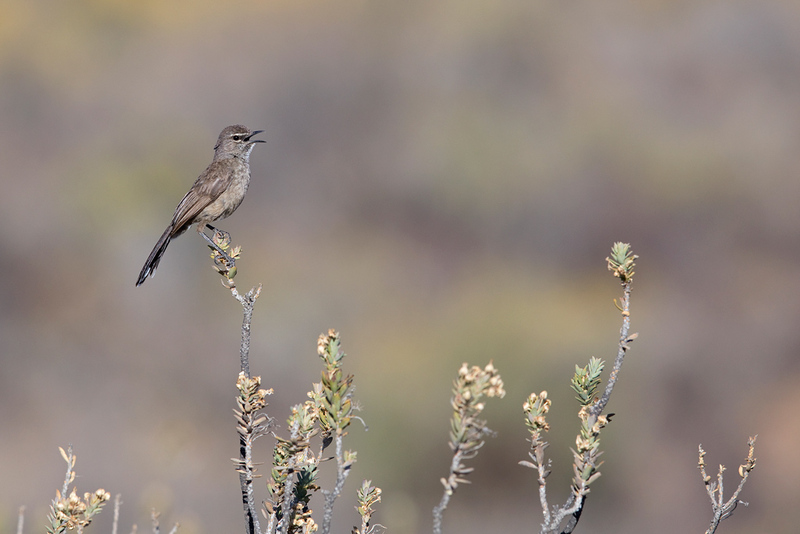 They are monogamous breeders that defend their “karoo scrub and strandveld” territory with much vigour (as can be seen by some of our photographs). 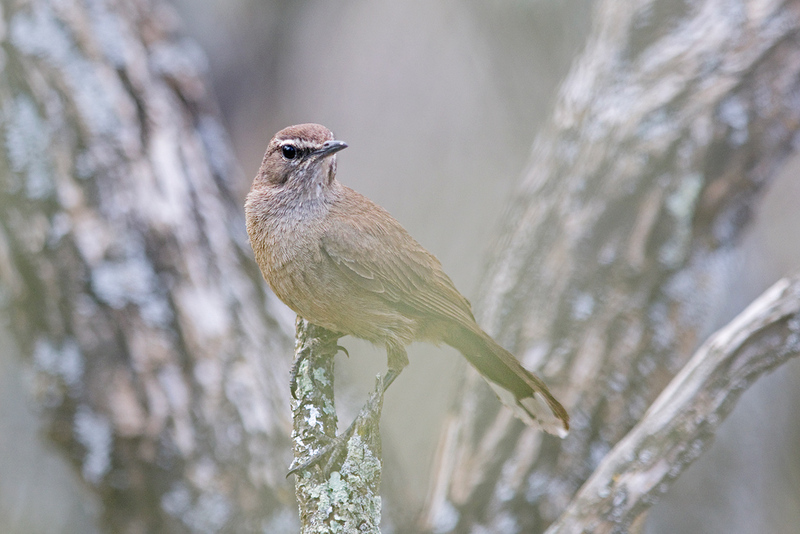 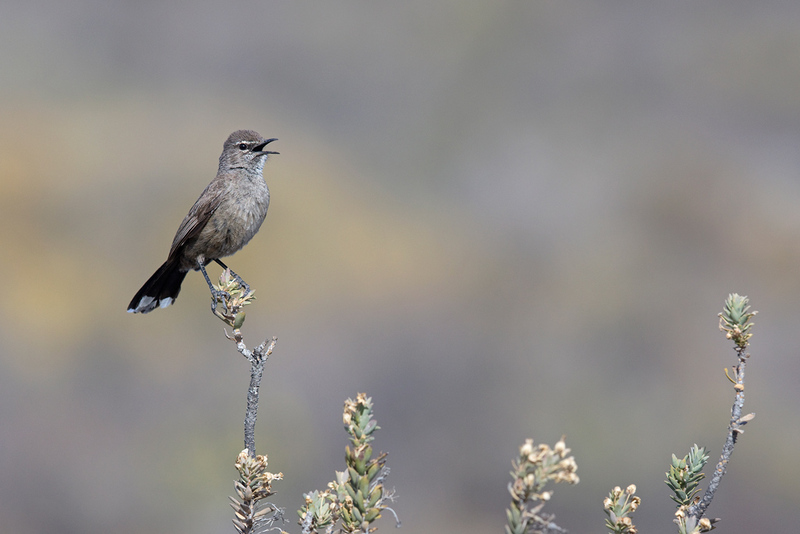 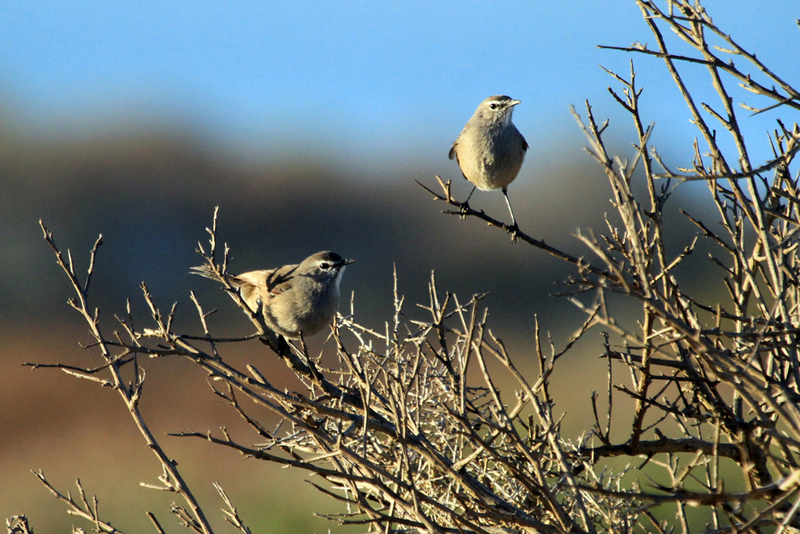 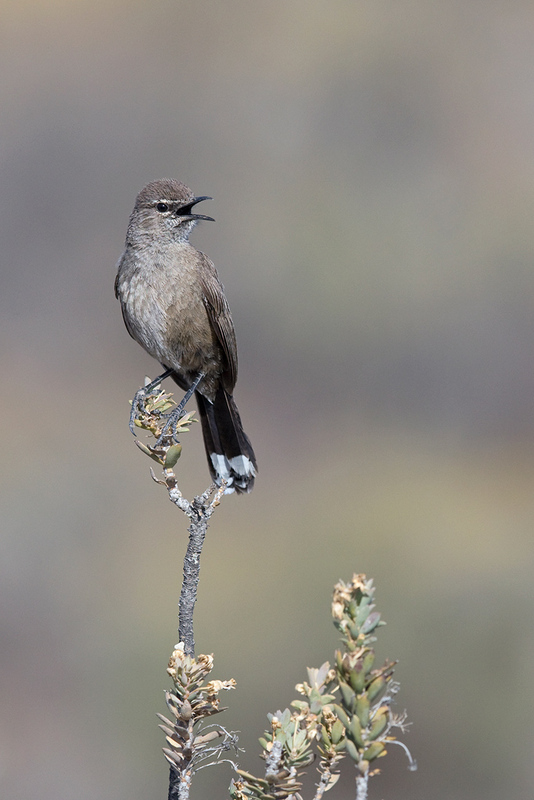 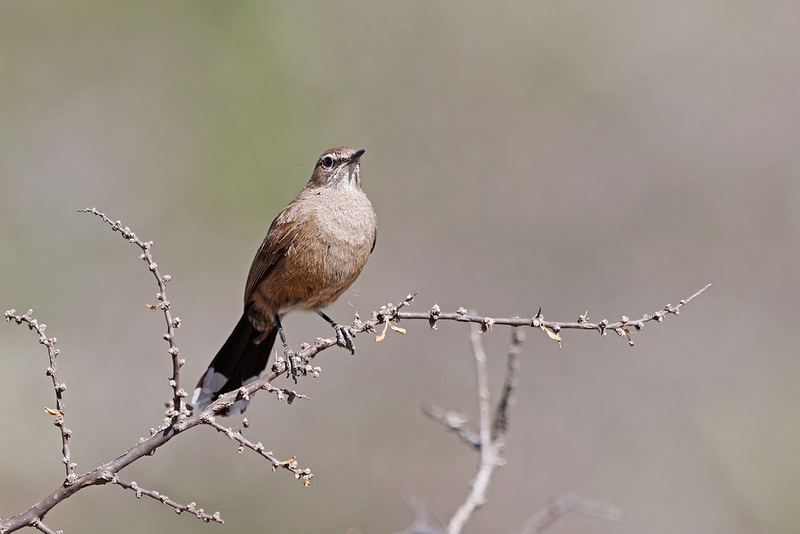 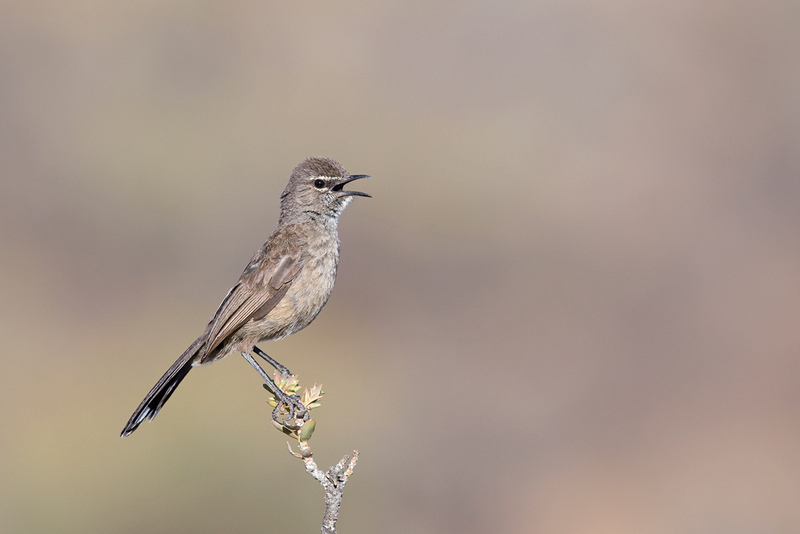 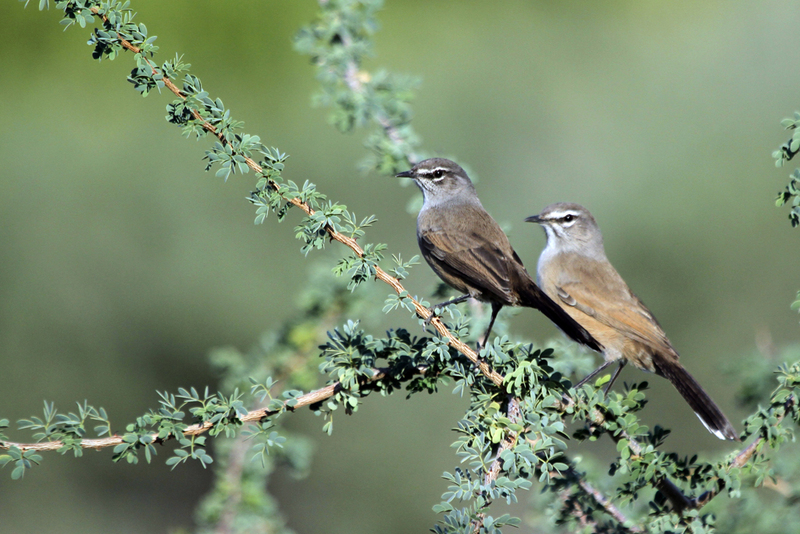 An interesting fact about these endemic birds is that they are also facultative cooperative breeders, as their juveniles are known to help their parents with rearing the next brood. 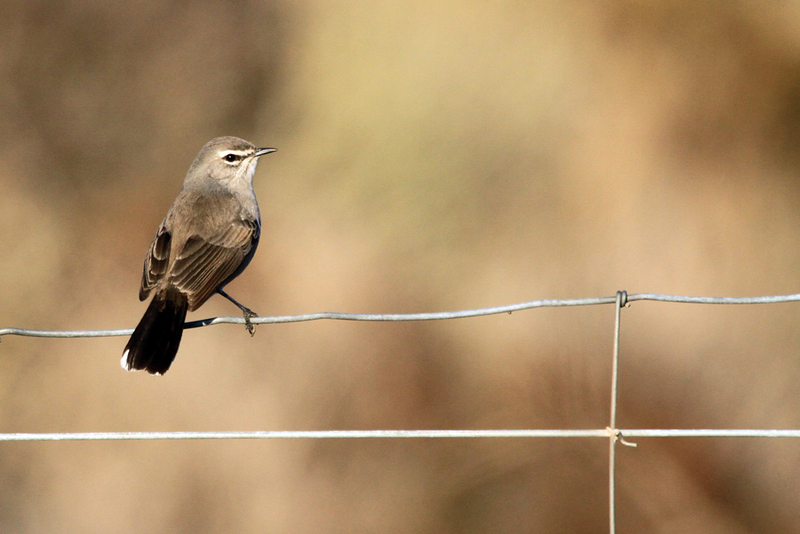 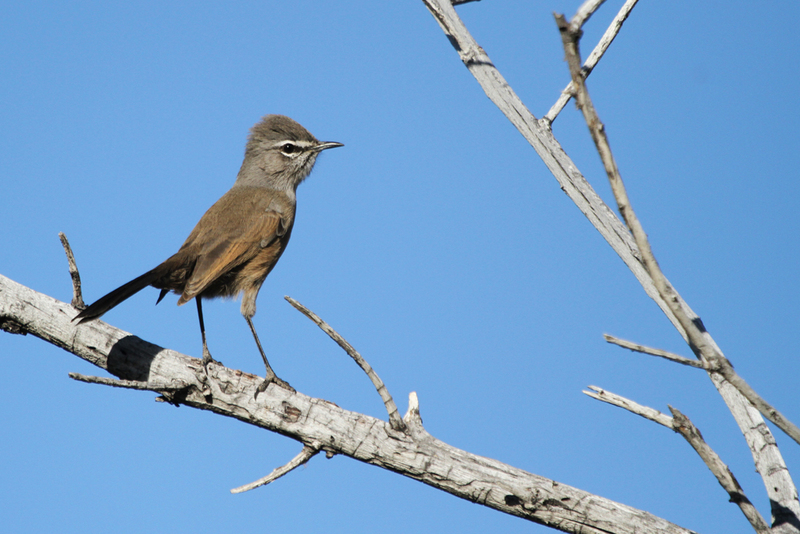 We first recorded this dark grey-brown scrub-robin in November 2010 while visiting the West Coast National Park. 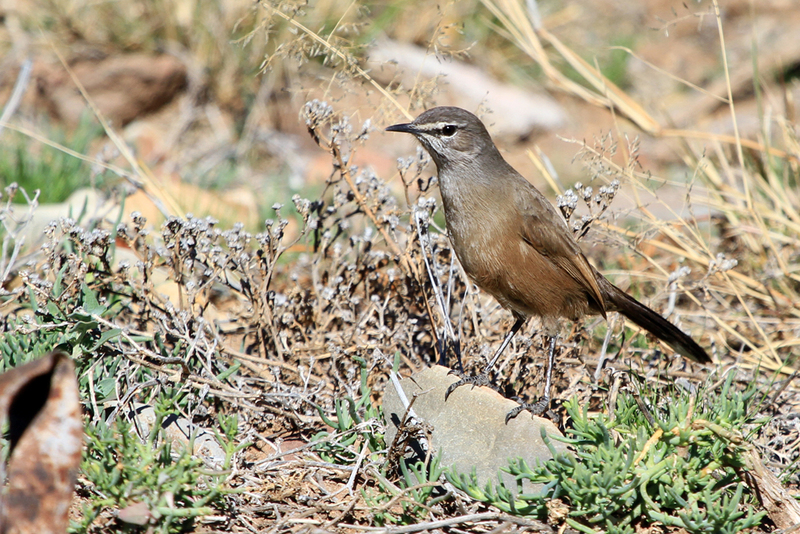 Since then, we have seen it on a number of occasions in the Western & Northern Cape, Karoo and southern Namibia.